There are many fitness enthusiasts who prefer a sport earphone that provides behind the ear support. 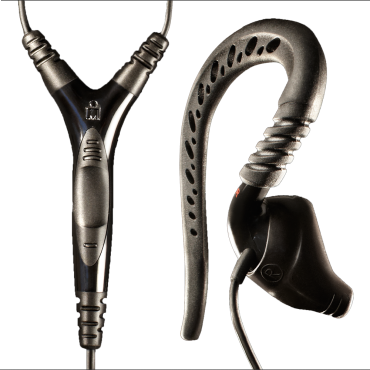 Yurbuds has created these with our patented twist-lock design plus the extra peace of mind offered by the earloops. Just like our personalized enhancers, the earloops are made from a soft, comfortable silicone, so that they never cause discomfort. They are flexible and securely wrap your ears rather than hang heavily. The Endure earphones sport the 3-button control and dry mic. These features allow convenient navigation of music during rigorous activity as well as hands-free calls � even during extended use.